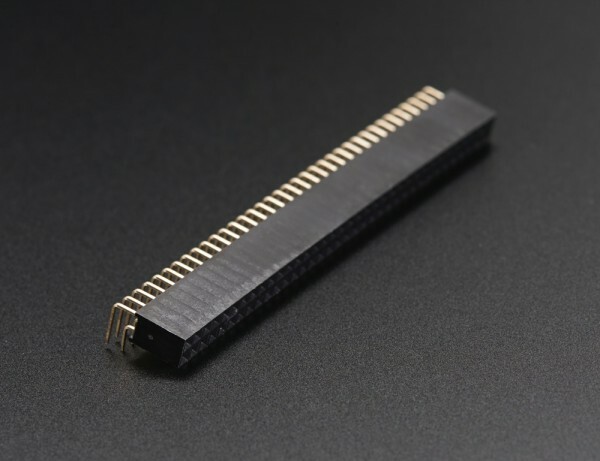 NEW PRODUCTS – 0.1″ 36-Pin & 2×36-Pin Straight & Right-Angle Headers « Adafruit Industries – Makers, hackers, artists, designers and engineers! 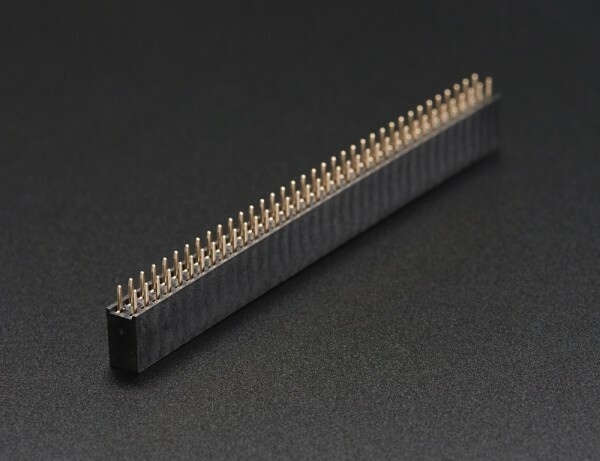 NEW PRODUCTS – 0.1″ 36-Pin & 2×36-Pin Straight & Right-Angle Headers – Socket (female) header is like the duct tape of electronics. 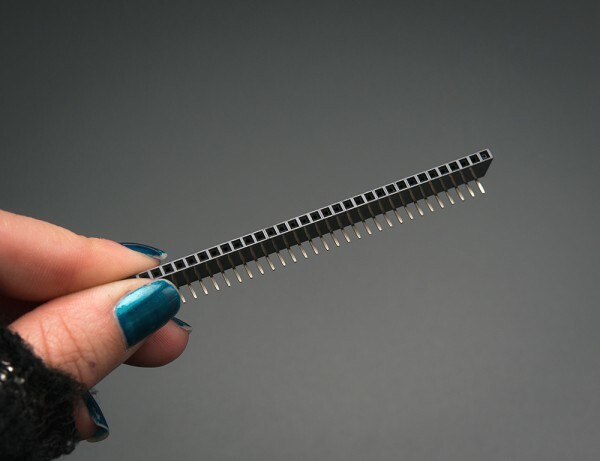 It’s great for connecting things together, soldering to perf-boards or PCBs to allow 22AWG wire or male header to connect, etc. We go through these gals real fast, and thought that given how handy they are, we’d offer them in a pack of five! right angle female, 5 x dual row female, or 5 x dual-row right angle female 36-pin long headers, 0.1″ pitch, that can be stacked next to each other on a 0.1″ grid. They aren’t ‘break-away’ style but can be cut manually with diagonal cutters or thin hacksaw – we suggest to sacrifice one socket connector by cutting in the middle of it. They’re even gold plated so they wont oxidize!